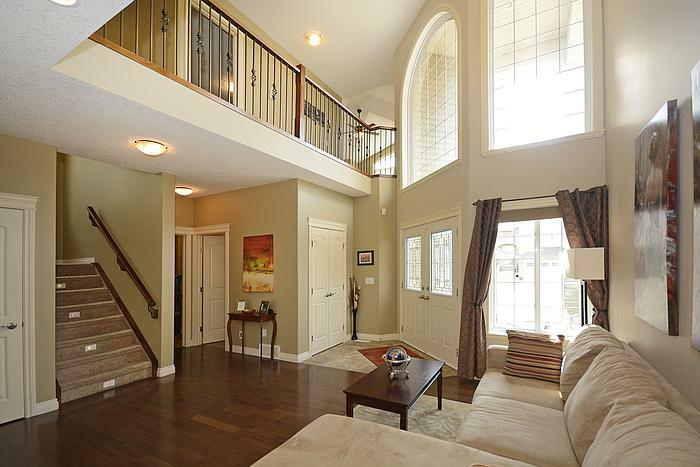 Welcome to this ESTATE Type Home in Kincora, one of Calgary's Vibrant Developing Communities. Close to amenities like Stoney Trail for Easy Access to Shopping at Cross Iron Mills, or Quick Access to Area Shopping at Creekside with Restaurants nearby! Loads of Walking Trails and pathways nearby, not to mention Nearly 4000 SQFT in this LARGE Estate type home backing onto a Ravine. Hardwood Floors, Stunning Kitchen with Granite Counters and Steel Appliances this home is a great family home for years to Come. 4 Bedrooms on the top level with a Large Bonus Room and 2 more bedrooms in the lower level too with a fully configured basement and wet bar/media room as well. Great for Blended Families and two-generation families as well. Call Today!